Ever since I started to write on this Packaging in Italy blog, also telling the “behind the scenes” of our work, I often find myself in meetings with clients that request further details regarding cases I have written about. “Bondani, can you elaborate more about the story of the ice-cream man and his containers? 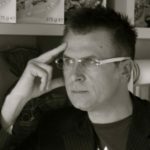 Honestly, I have no direct experience about what I am to tell you – even if I know very well both the market and the company in question, but I was lucky enough to have been told the details of a story that has been passed on from generation to generation and that, today, I want to share in this article. 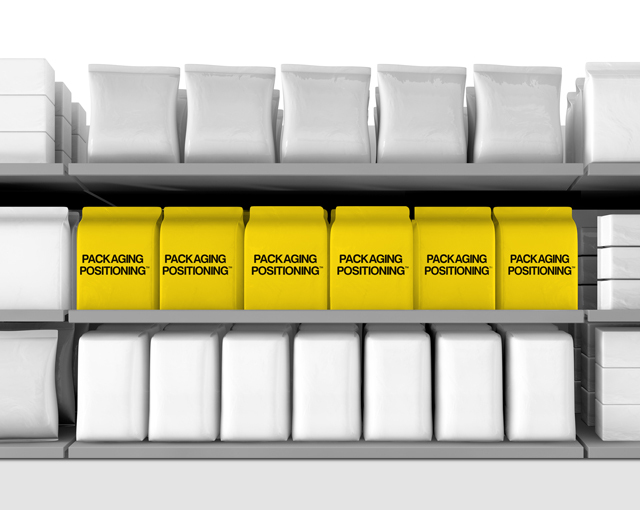 It represents the typical Italian success story, the same one that can be replicated in today’s market by investing in the right way in a marketing solution focusing on the packaging. Let’s go back to more than a century ago. It was 1911, when FIAT (acronym for Fabbrica Italiana Automobili Torino) decided to hold a competition among all the Italian chocolate makers with the objective of inventing a new chocolate. To win this competition these artisans were required to use creative genius and craftsmanship to come up with an Italian product, ingredients that nowadays can be found in many successful products, and also, certainly, in their packaging. But, let’s go back to the contest. Many chocolatiers worked hard to develop a new chocolate that FIAT would have used for advertising purposes to promote the launch of a new car, the “Tipo 4”. In laboratories throughout Italy, chocolate world artists let their genius work; for many of them, this was a real opportunity. The proposals that FIAT received exceeded all their expectations. The winning proposal came from Bologna. It was about a cubic cremino, made with four alternating layers (one more layer with respect to the classic cremino, that had only three) created by the Cav. Aldo Majani. A creamy chocolate based on hazelnuts, almonds and cocoa. And this is how the cremino FIAT was born. Today, known by everyone, it is still sold at the historic lab shop on Via Carbonesi in Bologna, exactly where the Cav. Aldo Majani created the original recipe. The cremino was so successful that Mr. Majani asked FIAT the authorization to sell it in his shop (in fact, initially, only FIAT had the right to use it for promotional purposes). Finally, in 1913, the positive “Yes” came from Turin and from that moment on things definitely changed for the Bologna artisan lab. 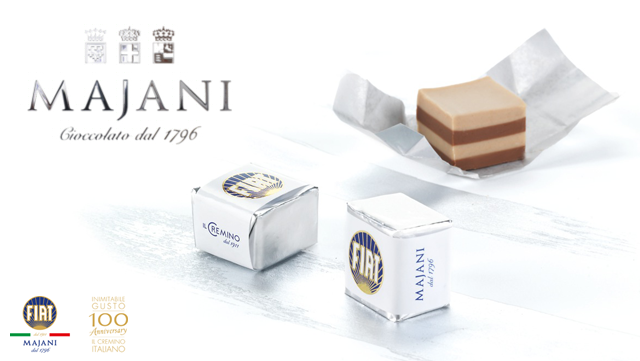 As a result, given the enormous success, Majani requested and obtained the patent for the product and for the FIAT brand in its category (sweets). This was the first “private label” case in Italy. The cremino FIAT became a national blockbuster (there is no need to explain how well known and appreciated it is at a distance of more than a century). Definitely, there was a lot of foresight in that request to sell directly the new chocolate. Both quality and visual impact of the cremino helped to place in every consumer’s mind a dedicated space for this product. One question. Do you really think that creative genius, craftsmanship and quality of the product could be enough to place in consumers’ minds a chocolate for more than 100 years without paying attention to naming and packaging? Absolutely NOT! High caliber personalities, such as Gabriele D’Annunzio, Guglielmo Marconi and Giosuè Carducci have been impressed not only by the quality of the product, but also by the excellent positioning and impeccable marketing operation implemented by the entrepreneur Aldo Majani. All along these years, in spite of the launching of many new products, with new formulas, new recipes and new marketing strategies to capture the market, for consumers, the cubic cremino is that one. The one with the white wrapping and the FIAT logo: the Majani’s! Probably, at this time, there is no contest held by Sergio Marchionne, to launch your product. However, every entrepreneur should focus their efforts on the uniqueness of the product. This is a process that starts by investing in research and development, as Cav. Aldo Majani did in 1911, with a new recipe, followed by a tailored made packaging. The cremino FIAT has also a lot to teach us in this aspect. After more than 100 years of this beautiful story, those who are in charge of its image cannot but take into account the guidelines that have turned this delicious chocolate into a celebrity. Only experts and specialists in restyling would venture on a similar product. WHAT ARE THE CHOICES TO MAKE NOW ON YOUR MARKET SO THAT YOU CAN PLACE YOUR PRODUCT IN AN UNTOUCHABLE SPACE OF CONSUMERS’ MINDS? This is the path to follow to make sure that 100 years from now someone will still be talking about your product. Underestimating the importance of packaging is, instead, the best way to disappear like the hundreds of competitors Majani’s cremino had over the years, trying every road without ever succeeding. If, as a manager or business owner, you think it is still possible to create a story that can last for over a hundred years, please, do contact me without any obligations. 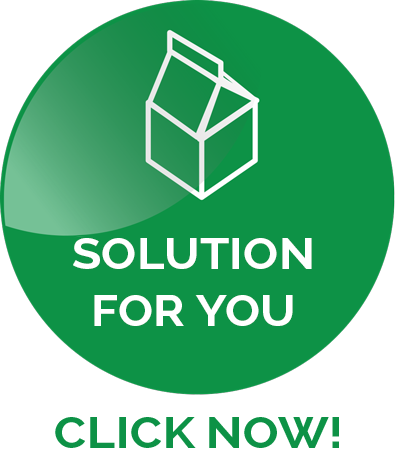 I will be happy to help you find the solution you need.